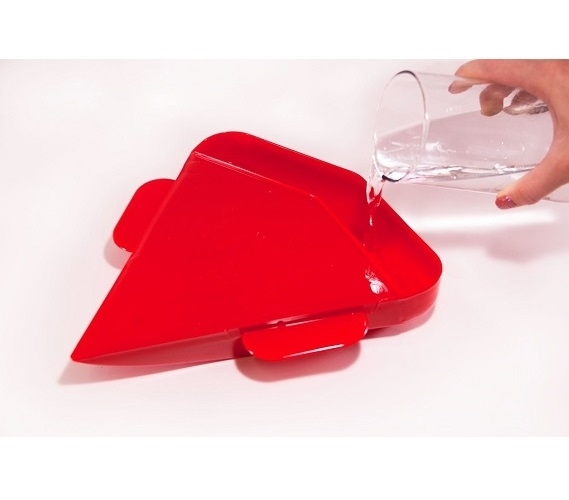 Eat right out of this reusable, BPA-free plate! Dimensions: 10.5" x 9" x 1.7"
You're not going to want to eat in the college dorm cafeteria every day. The food may not be all that great, plus you may even get out of eating there because your classes conflict with the dining schedule. This doesn't mean you have to go to bed hungry. You'll find that when you're in college, a staple of your diet is pizza. It's quick, cheap, and you will have plenty of leftovers. However, just thinking about leftover pizza may make you feel like getting just one slice because of how it is when you warm it up. With our Rapid Pizza Cooker, you can have leftover pizza the way that it was meant to be eaten. 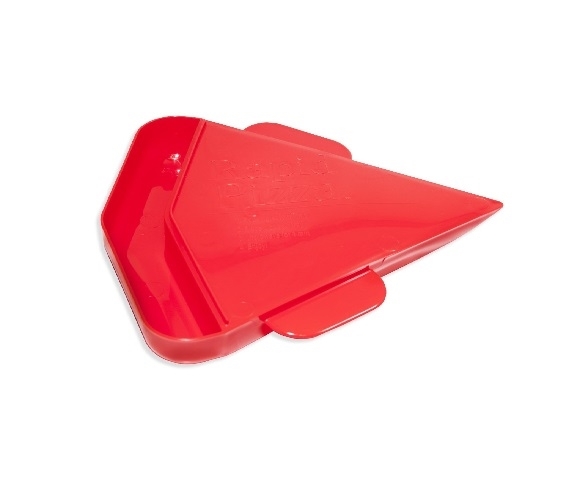 This dorm essentials item will allow you to have pizza that tastes like it's fresh out of the box the next day. Or even two days later! This dorm necessities item not only heats up your pizza super quick in less than a minute, but it also lets you avoid eating soggy crust. 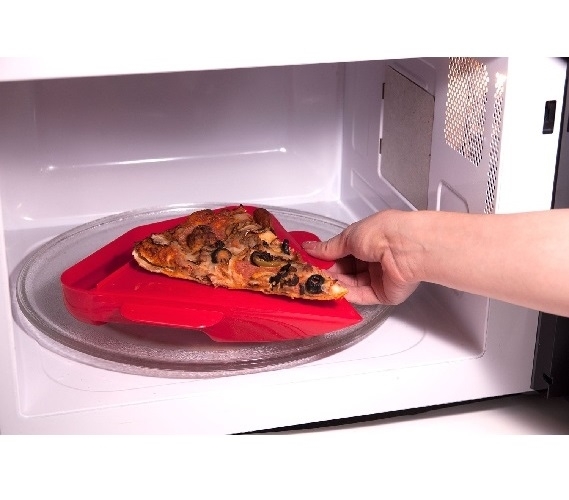 No one likes soggy crust from warming pizza in the microwave. Have great tasting pizza for dinner the next few days after having leftovers with our Rapid Pizza Cooker. Check out how you can have fresh, out of the box taste with our Rapid Pizza Cooker!